The run is limited to say the least with just 100 cars planned, though with a run of 50 having already been sold, the team are waiting on the green light to put to the second half of cars into production. What do you actually get for your money then? A 2.0 litre twin-turbo engine producing 228bhp, a manual gearbox and some bespoke decals for starters. Where the MINI JCW Challenge starts to get really interesting is when you look down the list of upgrades, all sourced from the same suppliers used for the race series. So, there are high-spec Nitron NTR R1 coilover springs and dampers, a Quaife ATB limited-slip differential, Michelin Pilot Sport Cup 2 tyres on Team Dynamics alloys and Mintex brake pads. As you’d expect, the ride isn’t the smoothest over Britain’s notoriously bumpy roads, but if you’re looking for silky smooth motoring, you’ve got the wrong car. Once you get up to speed the car settles down nicely and you get to appreciate that the hardware used for this car has been engineered by people who really know what they’re doing! While the engine is engaging it’s hardly the star of the show. Plenty of low down torque and weighty steering have no choice but to play second fiddle to that fantastic chassis. The limited-slip differential and grippy tyres allow you to push this car far further than you’d want to on public roads. Put the exhaust into sport mode, drop the windows and you’ll never want to turn the radio on again. A succession of pops and bangs accompany each gear change and put a smile on your face from ear to ear! 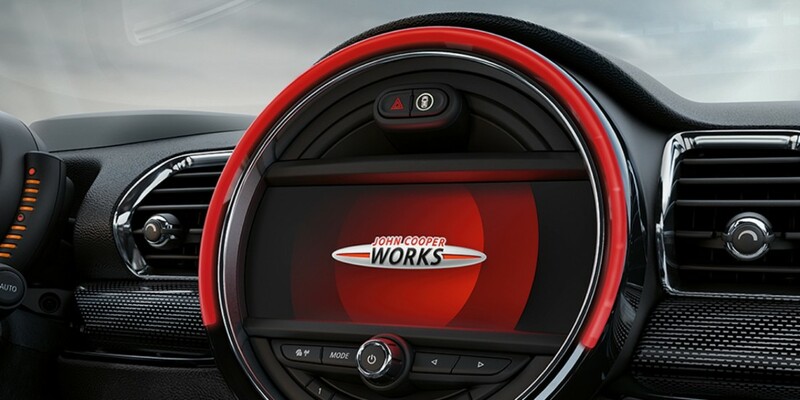 View our new MINI John Cooper Works cars and approved used MINI John Cooper Works cars at your nearest Stephen James dealership in London!